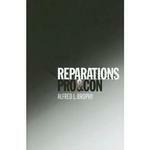 Perhaps I should have titled this entry, "Goodbye reparations. Hello Great Society." But what I think is interesting is that he's talking of past injustice and current inequality as the entry-point for a renewed commitment to social welfare programs that benefit people of all races. Sounds remarkably like the last chapter of this book, doesn't it? It also sounds a lot like his Philadelphia speech on race. Anyway, I'm off to my old home of Oklahoma City for a CLE presentation on Monday. It'll be exciting to see how that city's changed over the five years since I was last there; more on this once I get back.